Low Carbon Energy Assessors (LCEA) Ltd provide Commercial Energy Performances Certificates (EPC) for properties throughout Coventry. 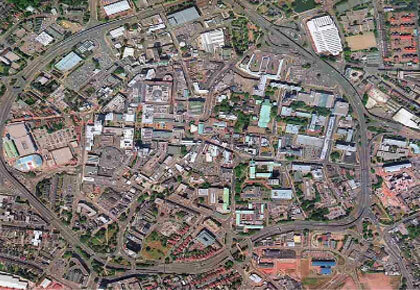 We also provide EPC+ Services, Display Energy Certificates, Air Conditioning CIBSE TM44 Inspections, Lead ESOS Assessors, Minimum Energy Efficiency Standards (MEES) Services, M&E Quantity Surveying Services and Commercial Contract Management Services for Commercial properties throughout the whole of Coventry. LCEA Ltd are have been involved with various projects throughout Coventry. We have also been involved with Offices, IT, Media, Construction Companies, Manufacturing, Factories, Warehouses, Distribution Centres, Aerospace, Defence, Engineering, ICT, Electronics, Financial Services, Retail, Media, University Buildings, Schools, Colleges, Doctors, Dentist practices, and Hospitals in Coventry. We are Chartered Quantity Surveyors with Building Engineering Services knowledge. Providing Mechanical & Electrical Quantity Surveying Services, Energy Efficiency Low Carbon CO2 and financial cost saving expertise. Accredited by the Institution of Civil Engineers (ICE) – Project and Commercial Management working on the NEC3 & 4 Engineering & Construction Contracts. We are Regulated by the RICS and our Surveyors / Assessors are Security cleared under the (Disclosure and Barring Service (DBS), formerly Criminal Records Bureau (CRB) and Independent Safeguarding Authority (ISA). We our experienced and accredited Commercial Energy Assessors with extensive Building Construction, Building Services, Energy Auditing and Cost Consultancy Services. With our background as Chartered Quantity Surveying practice, we have significant knowledge in Pre-Contract / Design stage, Post-Contract (Construction phase), Building Compliancy Handover, Whole Life Cycle Costing and Dynamic Simulation Modelling Services (DSM) Level 5 for Commercial buildings within Manchester.